BALLYMENA’s premier shopping destination, Fairhill Shopping Centre, in the heart of the town centre will end 2018 on a high, with Next just having re-committed to the centre until 2024 as one of their anchor tenants. This is in addition to the recent opening of River Island Kids, Frango, Flossy Treats and The Kiosk and clearly shows the retail centre is growing from strength to strength in what can be viewed as challenging times in the High Street. 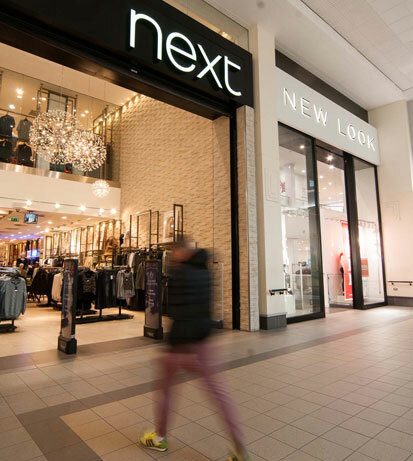 As well as the centre’s range of core fashion tenants, which include M&S, Next, New Look, H&M, River Island, Superdry, JD Sports, Topshop/Topman and Debenhams, Fairhill Shopping Centre is set to welcome three new tenants in early 2019, signifying that their success is set to continue long into the new year. With the recent extension of M&S’s opening hours to 7pm on a Saturday, the month of December will see all of Fairhill Shopping Centre follow suit, showcasing the increased demand by the public for longer shopping hours. Fairhill is a hub of activity this Christmas with a number of pop-up stands throughout the mall including LMD, Calendar Club, Montgomery’s Gift Store and Freshways’ fruit and veg. Not only is the Fairhill Centre having an impact on the retail industry, it continues to work in conjunction with a number of community organisations to benefit the wider Ballymena town. Having recently hosted a Story Wall competition welcoming over 2000 entries from local primary school children with four winning schools getting a cash prize of £100 each and 16 primary school finalists receiving Fairhill Vouchers too. Other community initiatives include a Primary 5 road safety campaign and the introduction of Fairhill Shopping Centre as an official drop off point for the Cash for Kids, Mission Christmas which collects donated toys to give to under privileged children this Christmas.